LANSING, Mich. — You’ve seen their shopping carts at nearly every retail store you’ve visited, but what most people don’t know is that those carts come from right here in mid-Michigan. 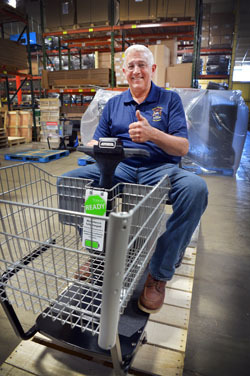 State Sen. Ken Horn joined the staff at Bridgeport’s own Amigo Mobility International to tour the facility and see how the motorized shopping carts that have made their way into stores and shopping centers across the nation are made. Founder and Chairman Al Thieme designed the original prototype in 1968 for a family member with multiple sclerosis. Thieme, who was working as a plumber, was investigating ways he could help his family member and was less-than-satisfied with the available options. “I just kept thinking there has got to be a better way,” he said. From there, Thieme designed and built the first Amigo brand mobility vehicle in his garage, which would end up revolutionizing mobility for those who suffer from an illness or disability that affects their movement. After a brief discussion of the company’s history, the tour moved inside the factory where the day’s work began. The mobility vehicles are manufactured in a fashion similar to that of the automobile. The company uses an assembly-line-like process where each station is responsible for placing together the proper components, and when completed, the unit moves to the next station. After unloading the supplies from the truck, Production Manager Mike Henris put the senator to work on the first of six stations. Station one begins with assembling the base skeleton. This is where the frame is prepped for the seat and the wheels to be put on. Once the frame is prepared, the unit moves onto the second station where the drive motor and steering column are added to the frame, while the third station is where the “brains” of the unit are installed. This includes installing the control and the battery charging units. Once these items are completed, the floorplate is placed over the top and the unit starts to take shape. Lastly, all final touches on the unit are completed. The basket is attached and the battery is plugged in. From there, the carts go through a rigorous quality control test and are then prepped for shipping. “Before it was prepped for shipping, I had the honor of test driving my completed ValueShopper on its maiden voyage,” Horn joked. He went on to thank the Thiemes for the experience. 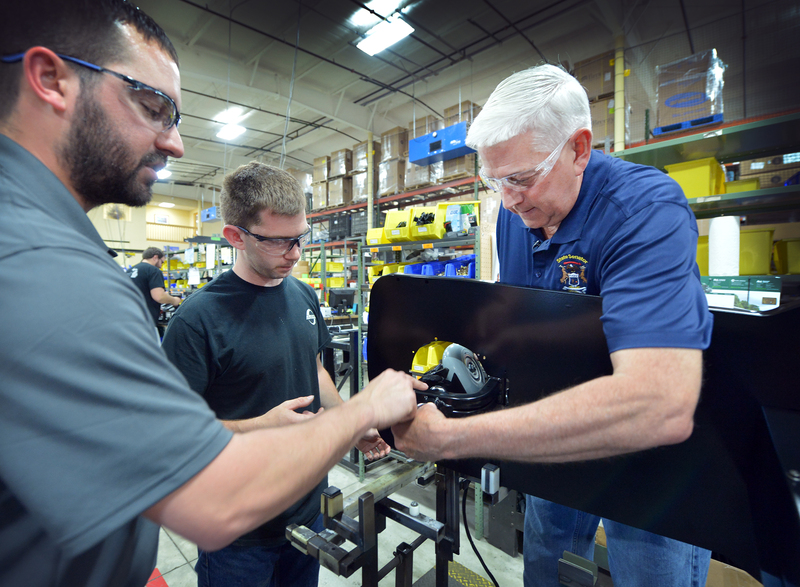 To view video of Horn building an Amigo mobility vehicle from start to finish, or for previous Hometown Tours, click here. 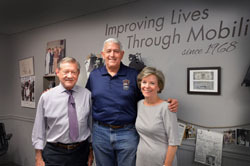 Horn’s Hometown Tours feature various communities in the 32nd District. If you are interested in having Horn visit, please contact his office at (517) 373-1760, toll-free at (855) 347-8032 or by email at SenKHorn@senate.michigan.gov. Editor’s note: A print-quality copy of each photograph is available by clicking on the image or by visiting www.SenatorKenHorn.com. Click on “Photowire” under the Media Center tab. PHOTO 1 CAPTION: State Sen. Ken Horn, R-Frankenmuth, attaches the steering column on a partially completed ValueShopper with the help of Production Manager Mike Henris and Jason O’Brien, who normally performs the task. PHOTO 2 CAPTION: State Sen. Ken Horn, R-Frankenmuth, stops for a photo on the completed ValueShopper scooter before it is wrapped and prepared for shipment. 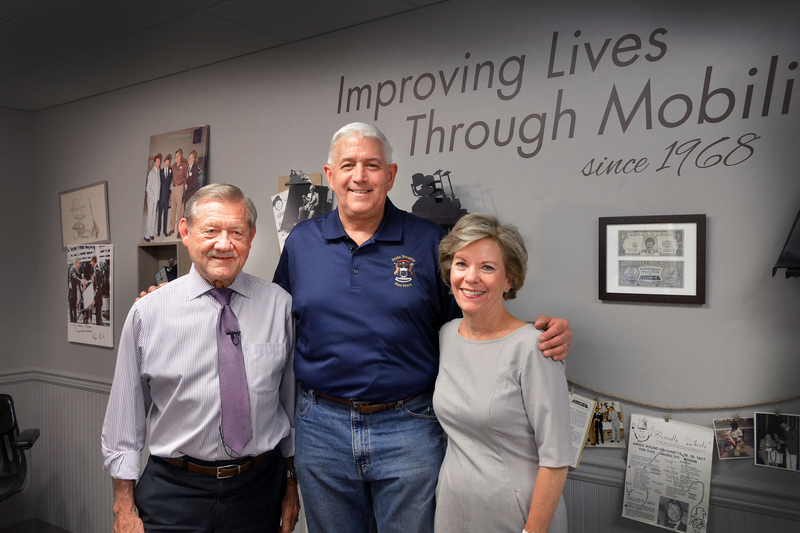 PHOTO 3 CAPTION: State Sen. Ken Horn, R-Frankenmuth, joins Founder and Chairman Al Thieme and his wife Beth for a photo after the tour. Beth serves as the company’s chief executive officer and vice president of commercial sales.